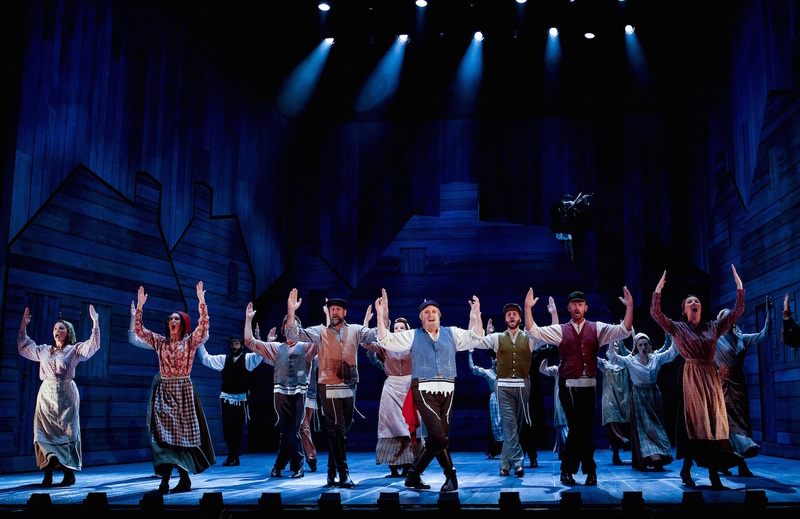 Win passes to ‘Fiddler on The Roof’ in Sydney! 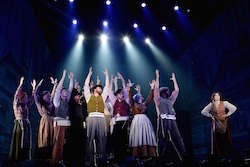 As one of the world’s most loved musicals, Fiddler on The Roof has captured the hearts and imaginations of audiences around the world for over 50 years with its humour, warmth and honesty. It follows the heart-warming journey of a family that has its traditional life turned upside down as the modern world starts to impact life in their idyllic village. 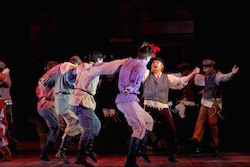 Striving to maintain traditions, like the fiddler on the roof, this classic tale is a celebration of life, love, family and, ultimately, a story of hope. Warlow has spent the last three years starring on Broadway playing Daddy Warbucks in Annie and, most recently, replacing Kelsey Grammar in Finding Neverland. As one of Australian theatre’s leading men, Warlow has starred in many iconic productions, such as Les Misérables, Phantom of the Opera, My Fair Lady, Man of La Mancha and Dr. Zhivago. Joining Warlow as his sharp-tongued wife, Golde, is Australian stage and screen star Sigrid Thornton. 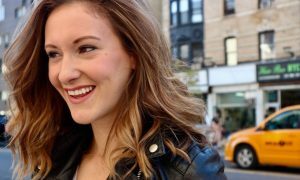 Having recently played the legendary Judy Garland to critical acclaim in the television mini-series, Peter Allen: Not the Boy Next Door, the award-winning actress is widely known for her lead role as Laura Joy Gibson in Sea Change. Not one to shy away from iconic roles, Thornton’s notable stage credits include Blanche Dubois in the critically acclaimed production of A Streetcar Named Desire, as well as Sondheim’s A Little Night Music, in which she played opposite her now onstage husband-to-be, Warlow. Making his musical theatre debut playing the role of Motel is ARIA award winner Lior. Renowned for his beautiful voice and songs that radiate truth and sincerity, Lior is one of Australia’s most successful singer-songwriters. Best known for his alter-ego “Con the Fruiterer”, Mark Mitchell plays Lazar Wolf, the wealthy butcher. Acclaimed actress Nicki Wendt, currently playing Shaun Micallef’s on-screen wife in ABC’s The Ex PM, plays the role of Yente, the meddlesome village matchmaker. Playing Tevye’s five daughters are Teagan Wouters (Dirty Dancing) as Tzeitel, Monica Swayne (Wicked) as Hoddel, Jessica Vickers (NIDA) as Chava, and making their professional adult musical theatre debuts are Madeline Perrone and Sara Reed as Sprintze and Bielke. Perchik is played by Blake Bowden (Blood Brothers), Avram by Andrew Kroenert (City of Angels), Pendel by Andrew Pepe (Chitty Chitty Bang Bang) and Fyedeka by Jensen Overend (Nice Work if You Can Get It.) The role of Fruma-Sarah is claimed by Sara Grenfell (Sunset Boulevard), while the Rabbi is played by Derek Taylor. Completing the cast in the ensemble are Prue Bell, Jared Bryan, Zoe Coppenger, Zack Curran, Mark Doggett, Matt Douglass Brett Fisher, David Hammond, Glen Hogstrom, Jennifer Peers, Matthew Predney, Annie Stanford, Darren Tyler and David Whitney. 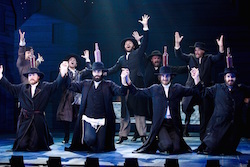 Fiddler on The Roof’s celebrated score by Jerry Bock and Sheldon Harnick features songs, such as “Tradition”, “Sunrise Sunset”, “Matchmaker”, “To Life” and, of course, “If I Were A Rich Man”, that loved the world over. Choreography for this production is by Dana Jolly, as based on the original by Jerome Robbins. Fiddler on The Roof originally debuted at the Imperial Theatre on Broadway in 1964. It ran for 3,242 shows, becoming the longest-running musical in 1972. It won 10 Tony Awards, including Best Musical, Best Actor, Best Supporting Actress and Best Director, as well as awards for author, producer, choreographer, costume design, and composer and lyricist. It won another Tony Award for Best Revival of a Musical in 1991. In 1971, the movie version, starring Topol, was nominated for Best Picture and picked up three Academy Awards. 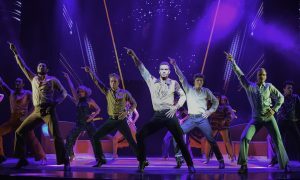 The show has enjoyed many London and Broadway revivals, the latest opening at the Broadway Theatre this November. 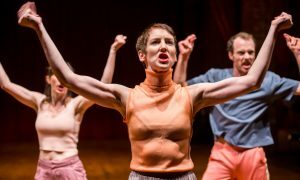 To see what all the fuss is about, enter to win a double pass to Sydney’s Capitol Theatre on March 24 at 8pm. To win a double pass to Fiddler on The Roof, email info@danceinforma.com with the answer to this question: What actress will play Golde in this production? Please title the email “Fiddler on The Roof Giveaway”. Please provide your full name, date of birth and mailing address. This competition opens February 1 and closes February 26. Enter to win now! For further information on this touring production, visit http://fiddlerontherooftour.com. 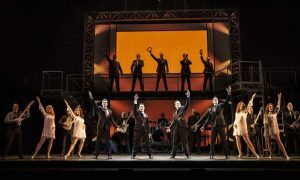 Production images by Jeff Busby.